The Forever Starts Today wedding package is a grand combination of detailed setting and gorgeous decor. 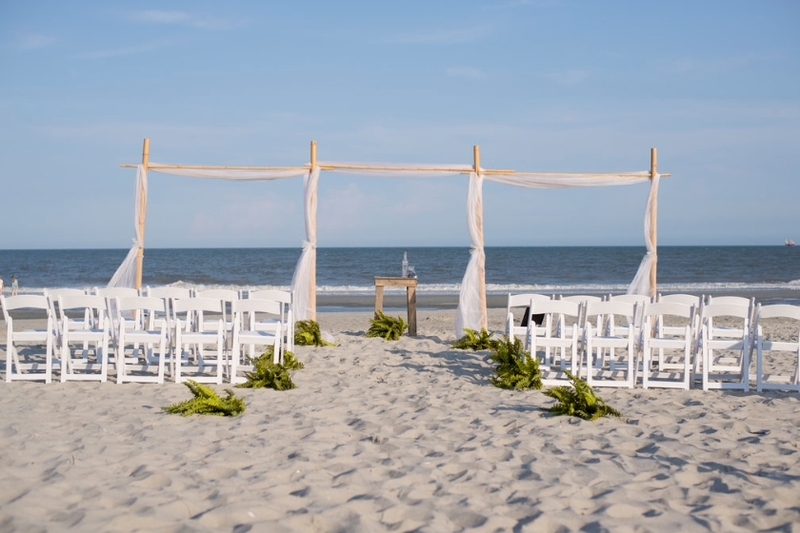 A triple arch with draped fabric and a customized aisle way finishes the look. A heart in the sand, flowers, music and seating for 20 guests is included. 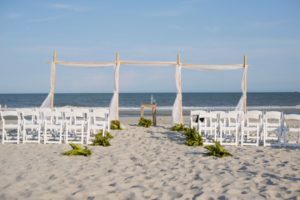 Enjoy a meaningful sand unity ceremony and one hour of photography to cap off your Myrtle Beach wedding.